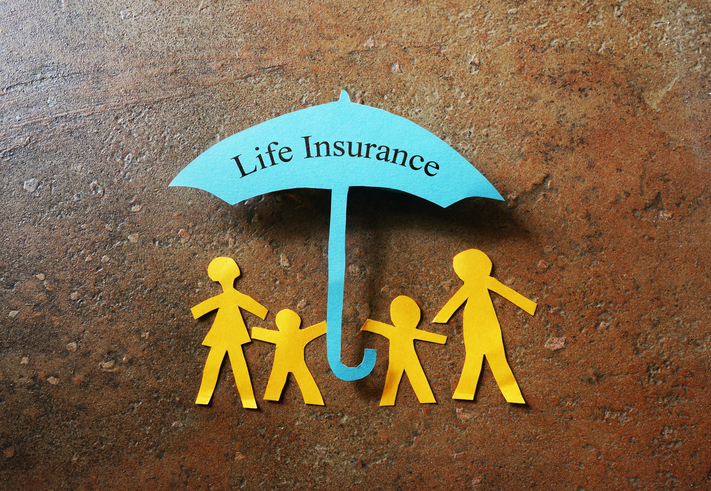 Life insurance is not the easiest topic to tackle. However, it is one of those topics your family will be relying on you to address—a true labour of love if ever there was one. This is because life insurance is a reliable way to provide for your family's financial needs if the unthinkable should happen and you no longer can. Once you can work your way past the discomfort of thinking about this, the rest of the process is reassuringly practical: what type, how much, how long, and so forth. In this post, learn the basic mechanics of how life insurance works so you can make the right decision for your family. The policy premium. This is what you will pay to take out the policy, typically per month or annually. The policy death benefit. This is what your beneficiary will receive should you pass away while holding an active life insurance policy. Term life insurance is simple and basic. It is also the least expensive type of life insurance, which can especially appeal to young families just starting out. This life insurance product gets its name from how it works. You buy term life insurance for a period of time called a "term." A policy term can be 5 years, 20 years, or more. If the policyholder passes away before the term expires, the named beneficiary will receive a payout in the amount of the policy's face value. If the policyholder does not pass away before term expiration, the policy simply expires. Typically, the policy contains an option to renew for another term. Term life insurance, due to its simplicity and practicality, is often the policy of choice for families. But in some situations, buying a more involved life insurance policy such as permanent life insurance can make good sense. Permanent life insurance and its two subtypes—universal and whole life—are viewed as investment vehicles in their own right, similar in some ways to mutual funds or retirement funds. A premium towards pure life insurance. There are certain situations when a permanent life insurance policy may be the perfect solution to vexing financial issues, such as high current investment-related taxes or high anticipated capital gains tax on an estate released after probate to beneficiaries. Typically, universal life and whole life insurance will differ in how the investment portion is handled and the degree of flexibility the policy holder has in determining how that portion gets invested. The most important aspect here is to try each policy type on for size and see which one is a better fit. Bundle your life insurance policy with other insurance products. If you purchase life insurance with an insurer you already do business with, you may be eligible for what is called a "multi-policy" discount. Buy your policy in the first six months after your birthday. This way, your age rounds down for underwriting purposes and you can potentially qualify for a lower premium. Turn down the "guaranteed life insurance" option. This option lets you skip the medical exam portion of qualifying for life insurance—for an extra fee. So there is no need to choose this type of policy unless you are in poor health. Pay your premiums annually instead of monthly. Often, an insurer will reward the reduction in their administrative expenses by giving you a discount on your policy costs if you pay annually. Renegotiate your premiums if your driving record improves. If an offense times out on your record, you can ask your insurer to review your premium costs again and potentially qualify for a lower rate. Ask about additional discounts. A couple of examples are if your employer has a special deal with an insurer or if you belong to an organization that qualifies you for a discount. Mackay Insurance Brokers has been invested in providing our customers with the lowest rates on the best insurance products since 1977. Today, we proudly serve more than 5,000 clients in the Belleville, Ontario, and surrounding areas. Our staff has a combined 165 years of insurance industry expertise and we love putting that knowledge to work for you! You can contact us by phone at 888-853-5552 or online. Don't wait: let us help you achieve peace of mind in knowing your family is well taken care of, no matter what the future holds!